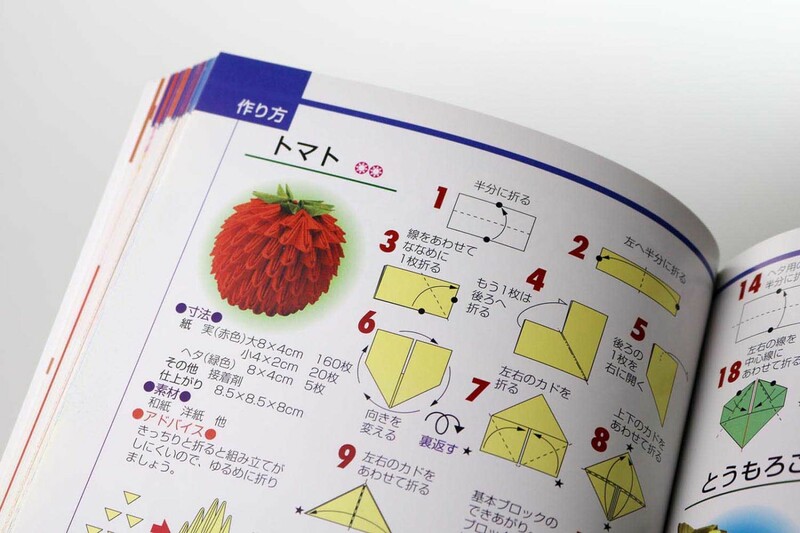 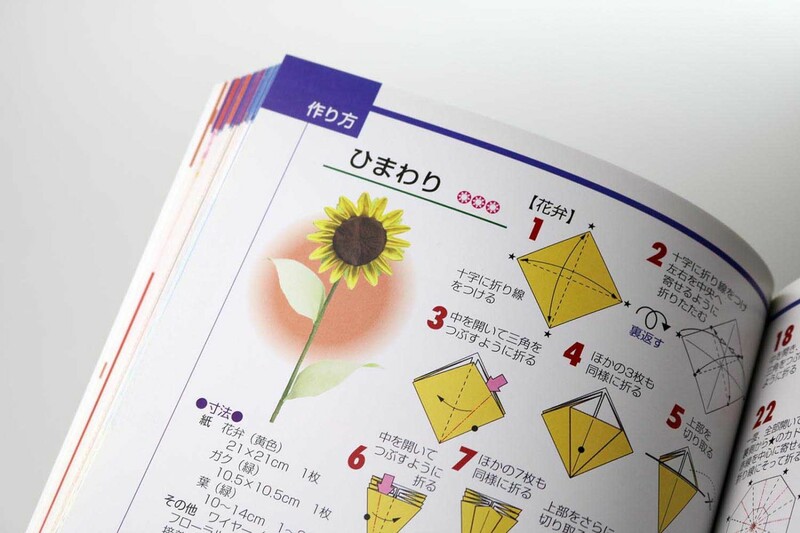 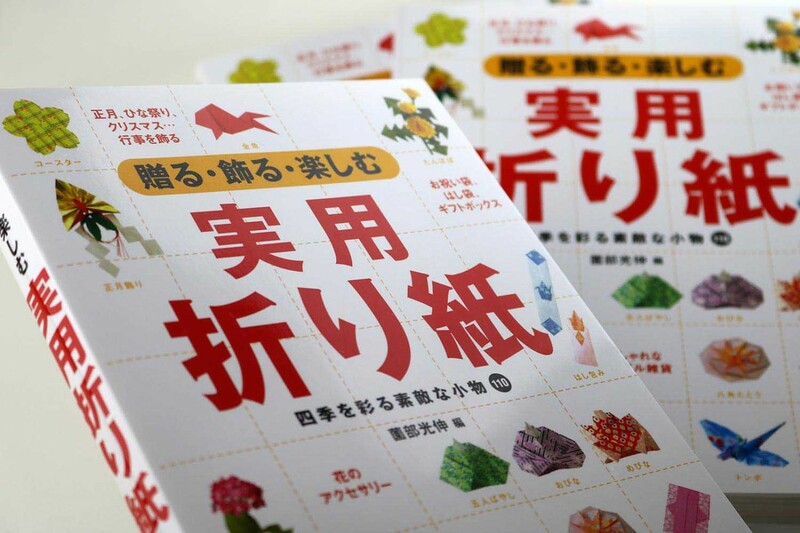 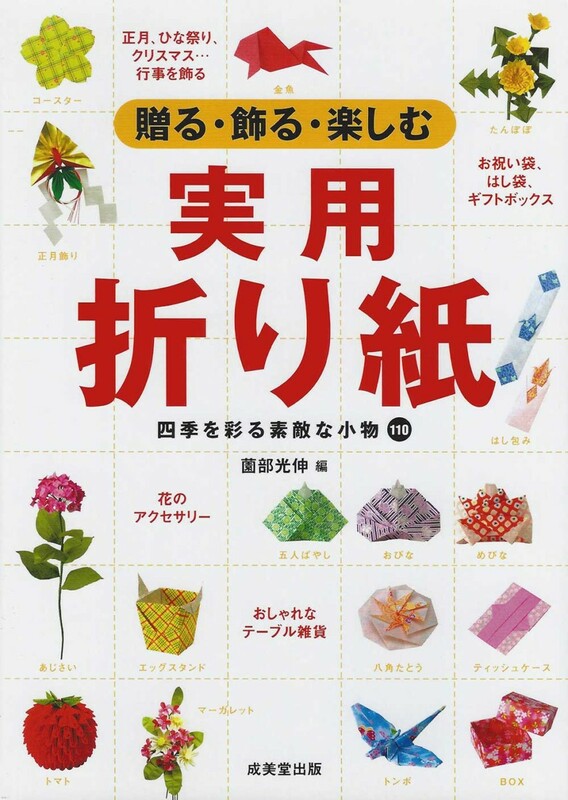 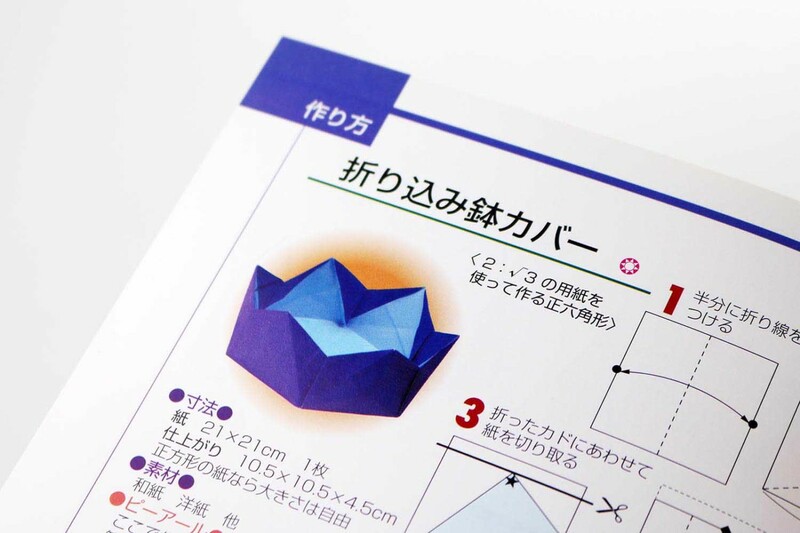 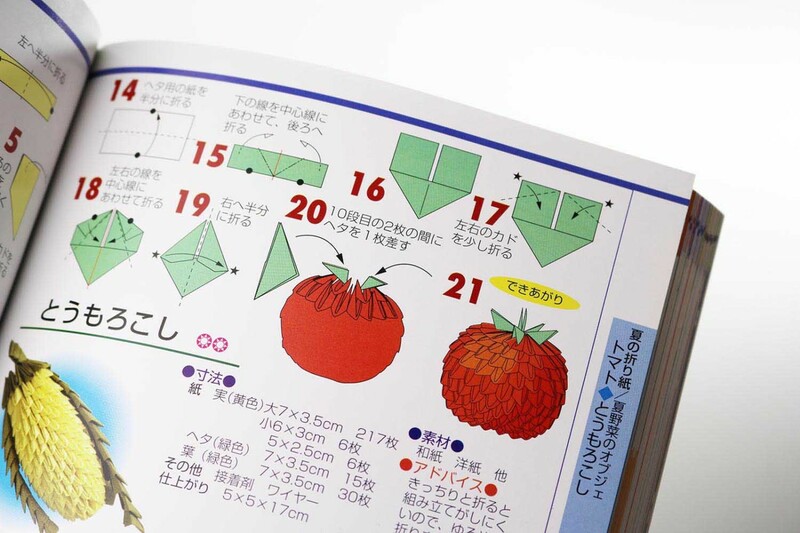 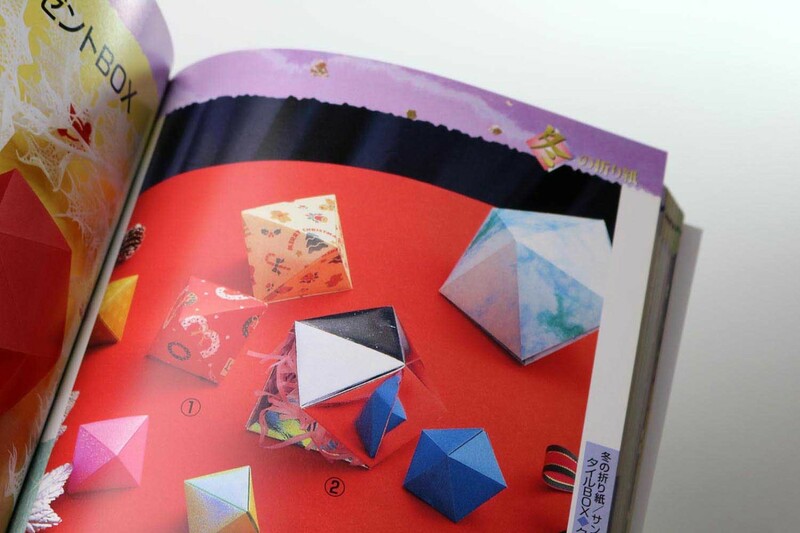 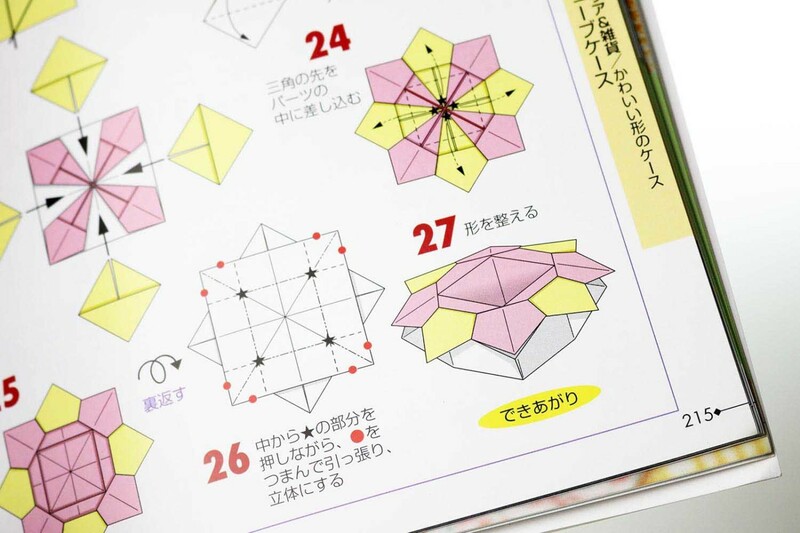 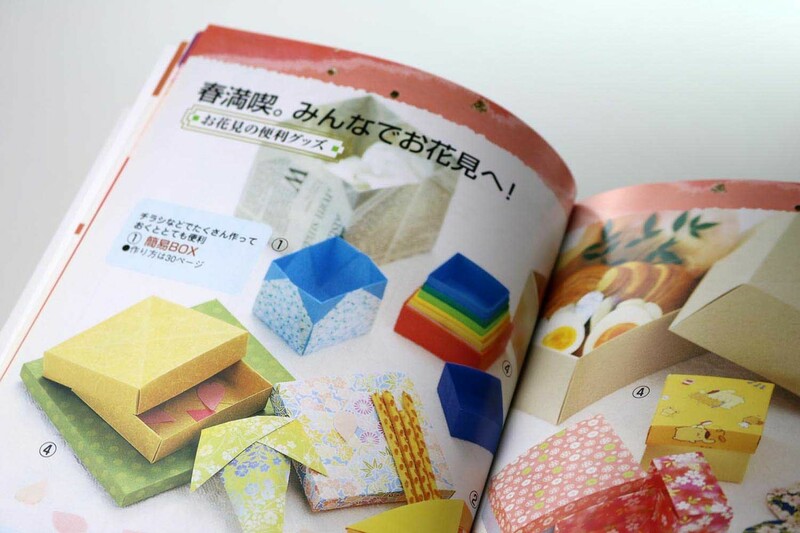 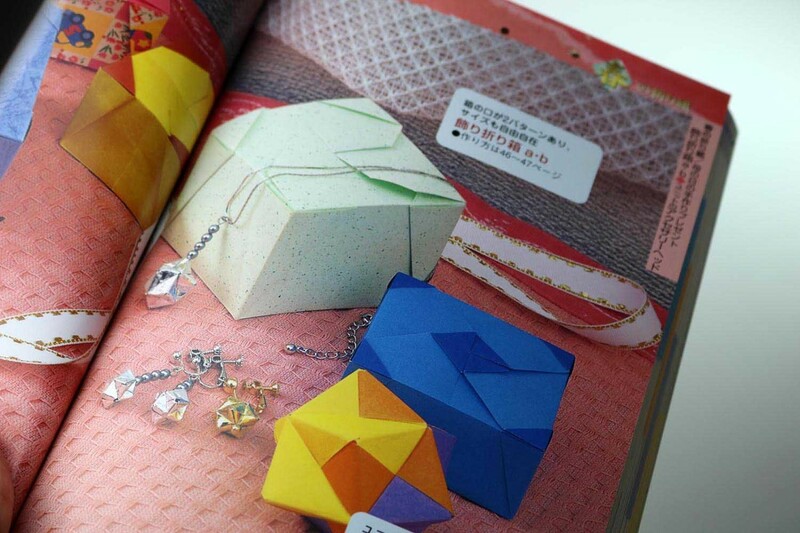 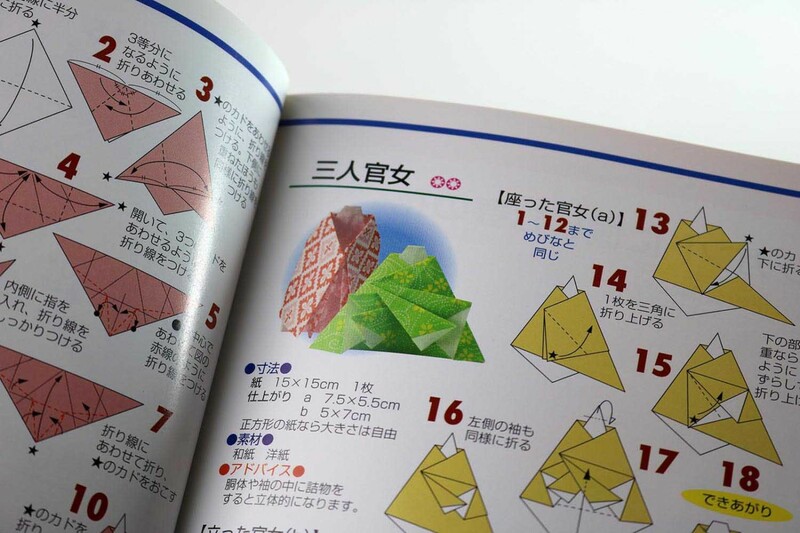 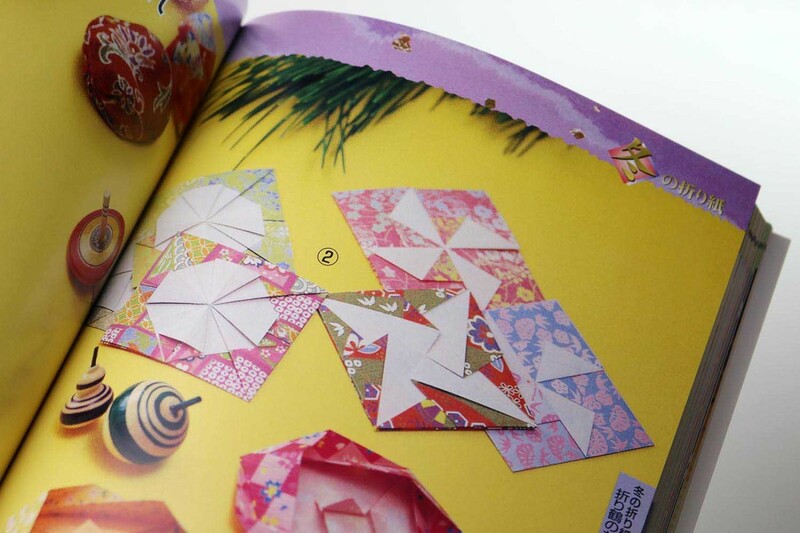 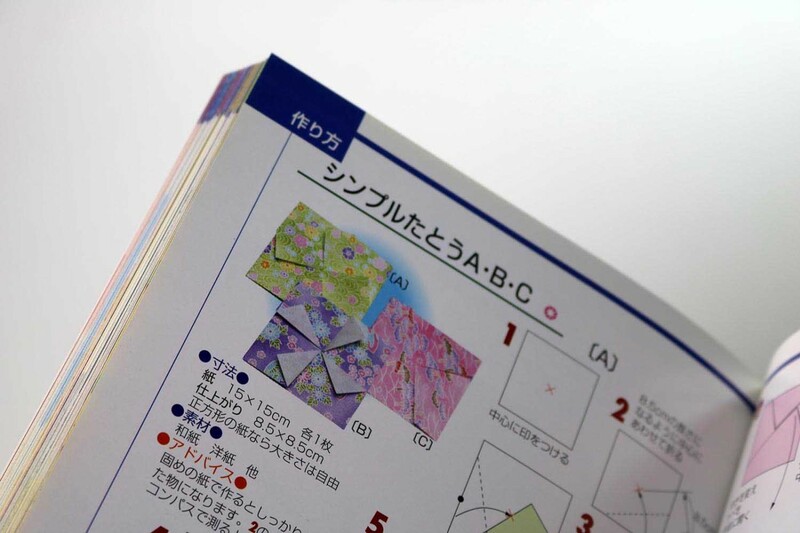 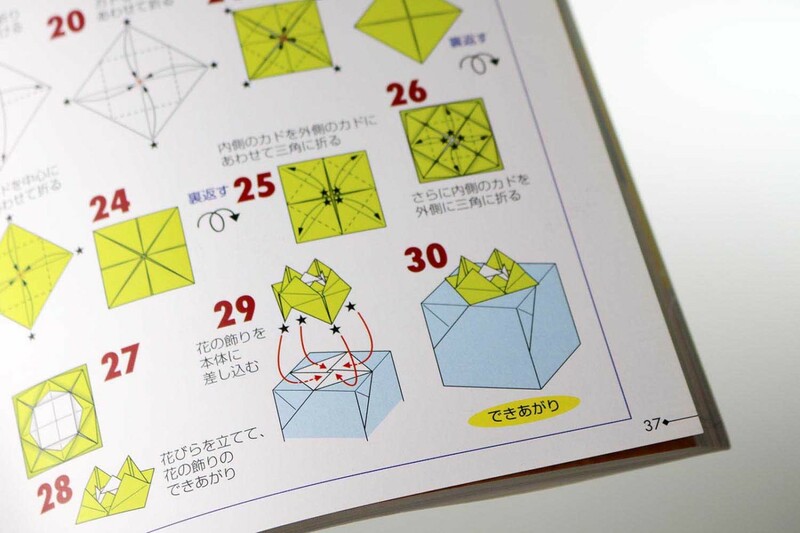 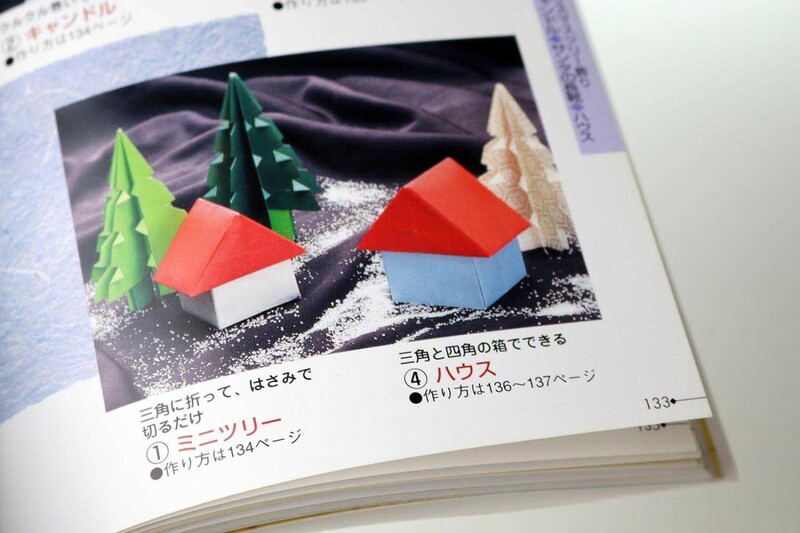 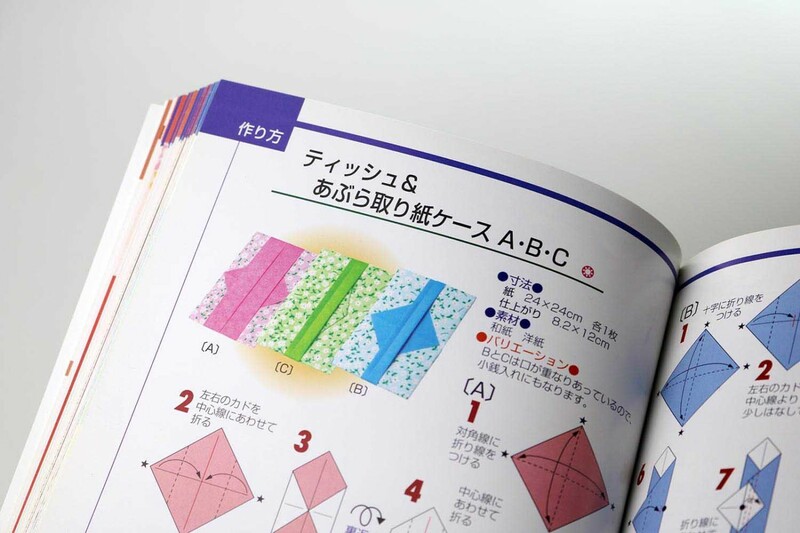 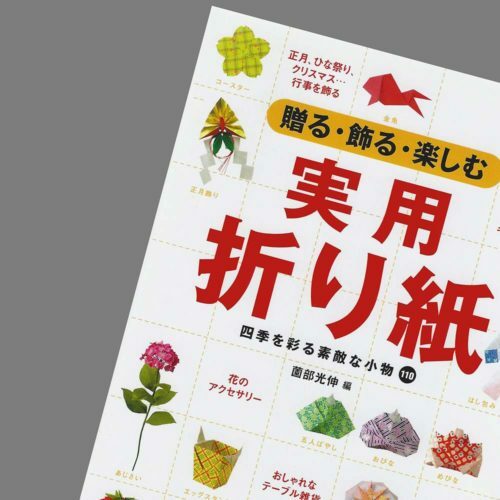 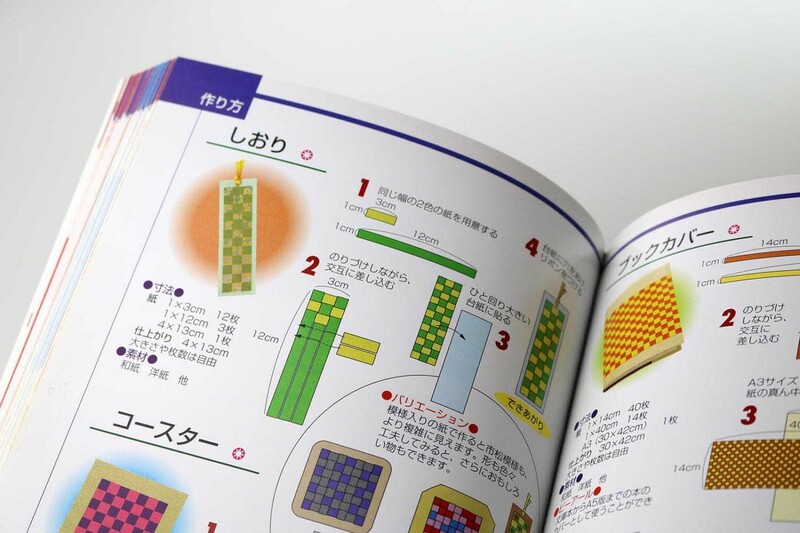 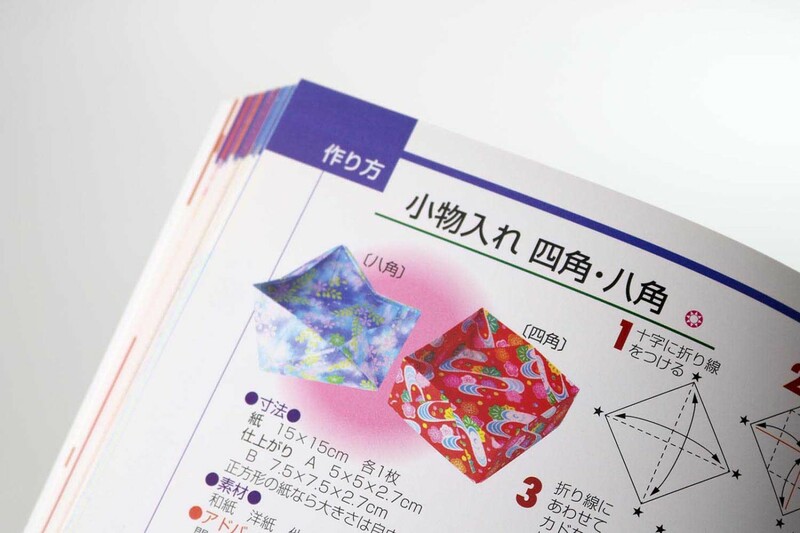 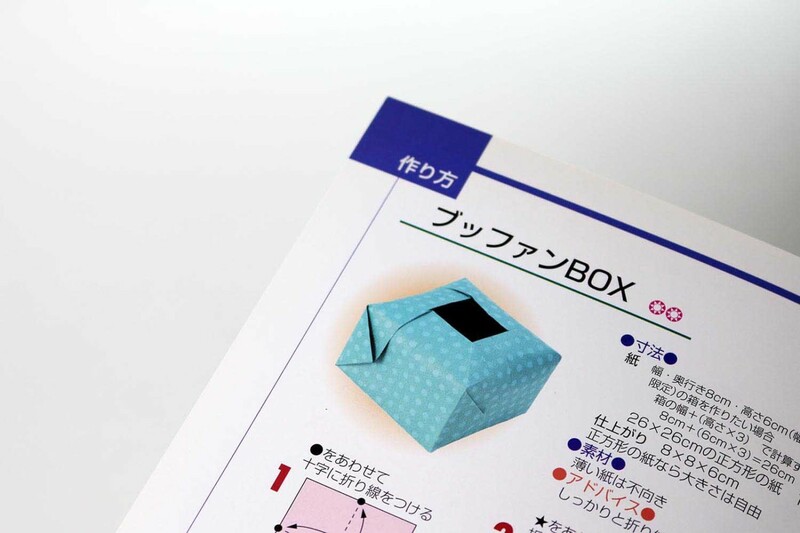 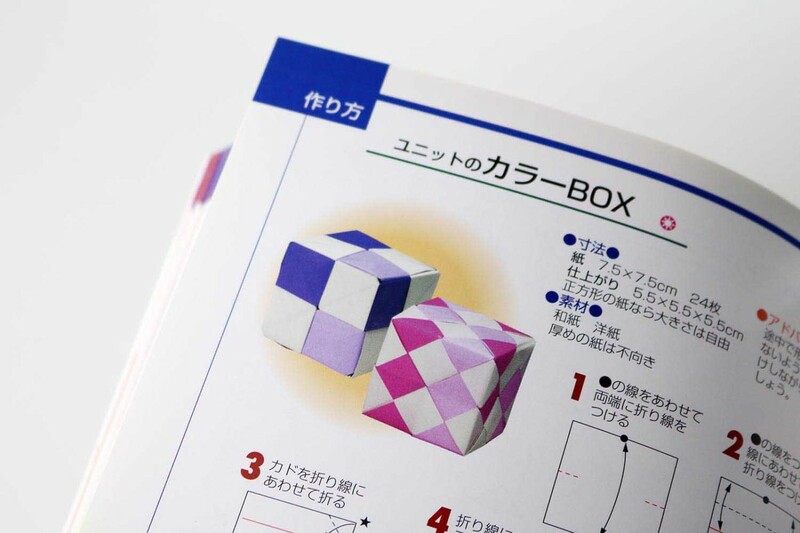 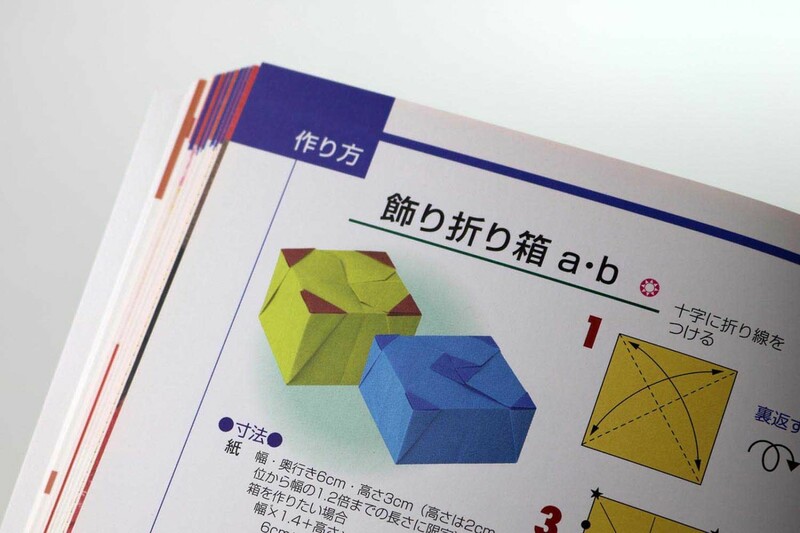 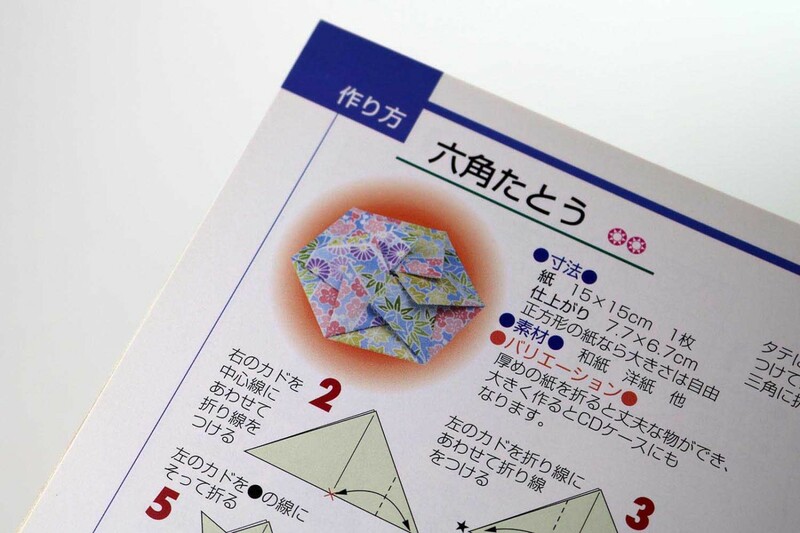 Mitsunobe Sonobe is the creator of the “Sonobe Cube”, which is composed of the may be most folded module – the Sonobe module. 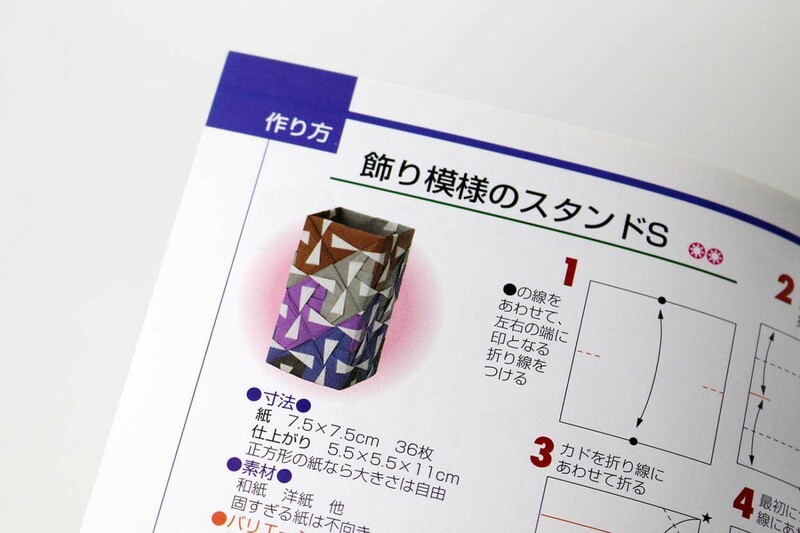 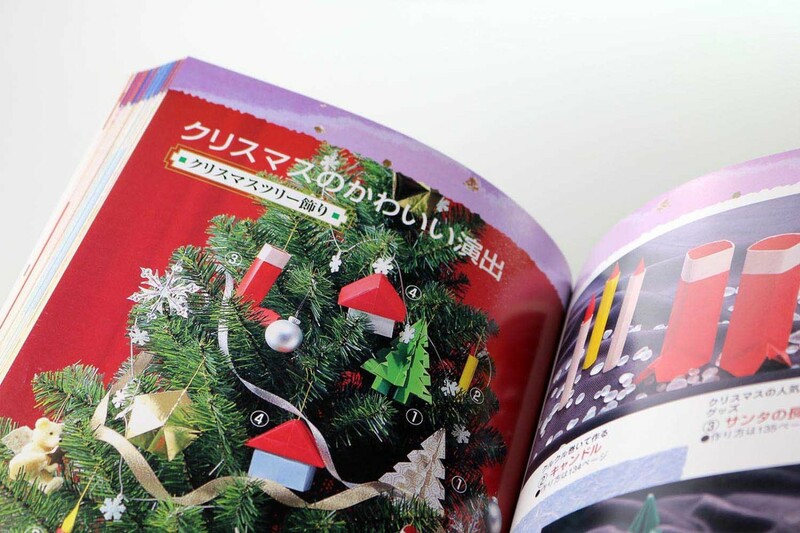 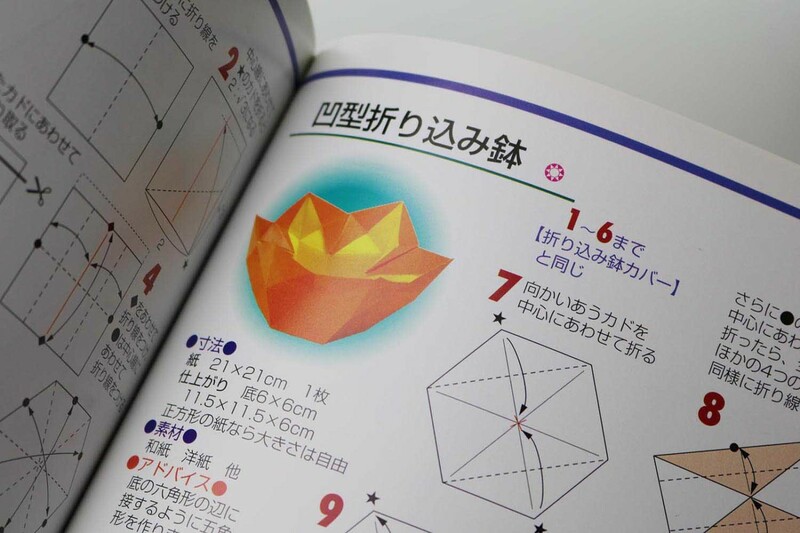 Of course, in this comprehensive book you will also find some models from this module: two-dimensional as a saucer and three-dimensional as a cube or tower at any height. 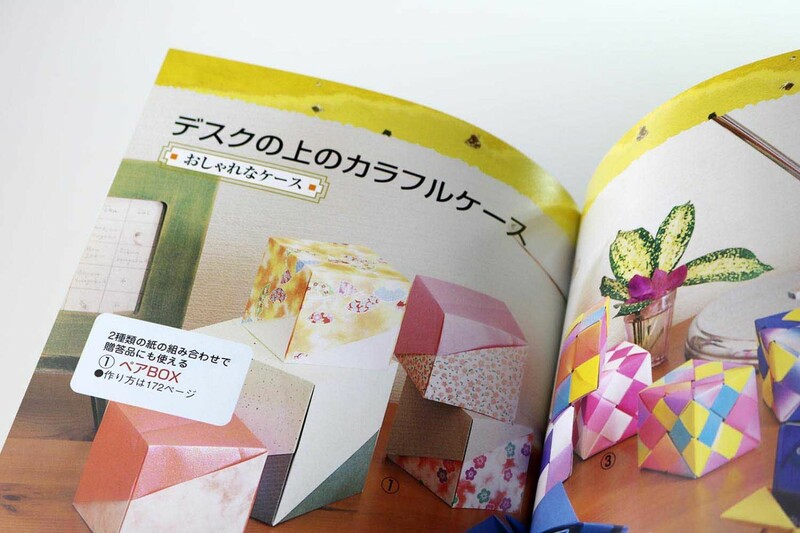 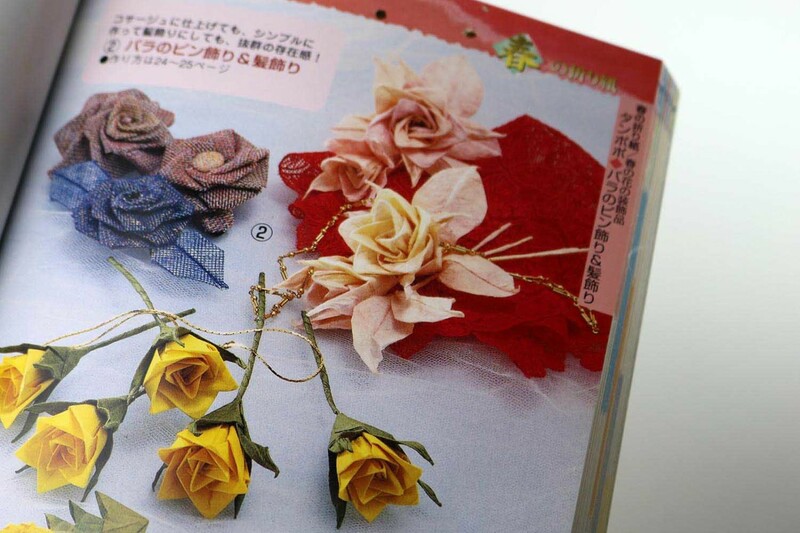 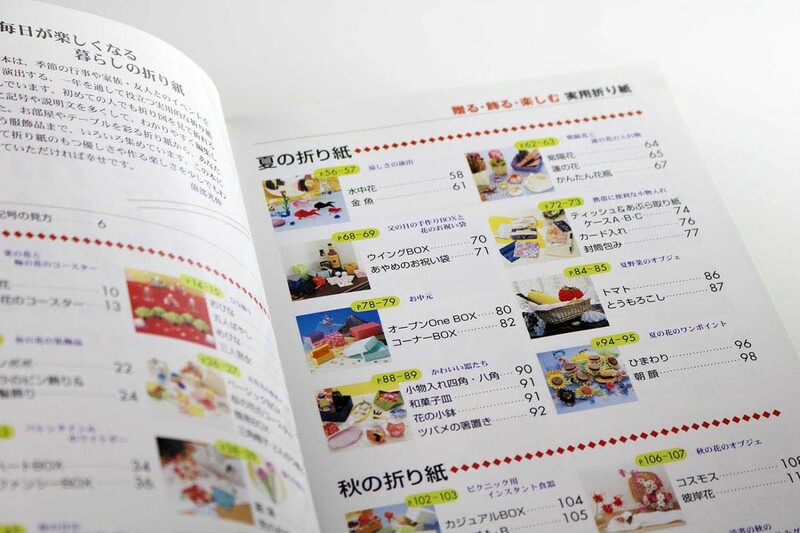 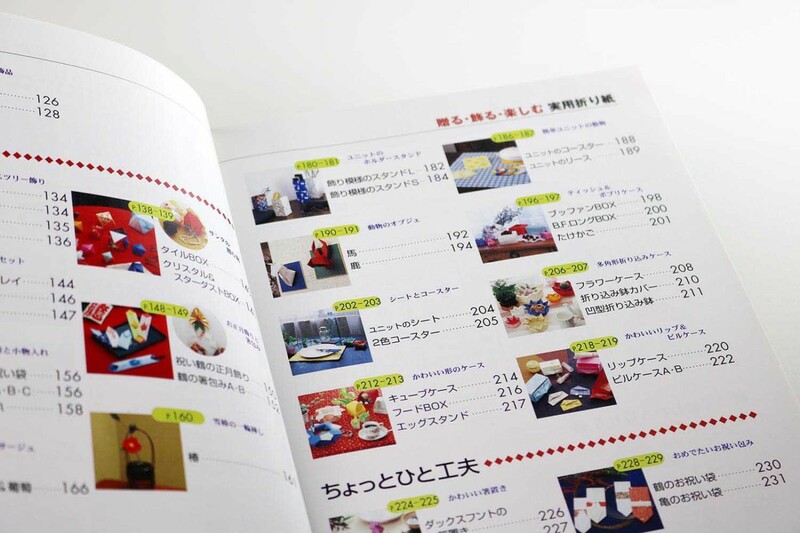 One focus in this book, however, are the flowers and bowls and boxes. 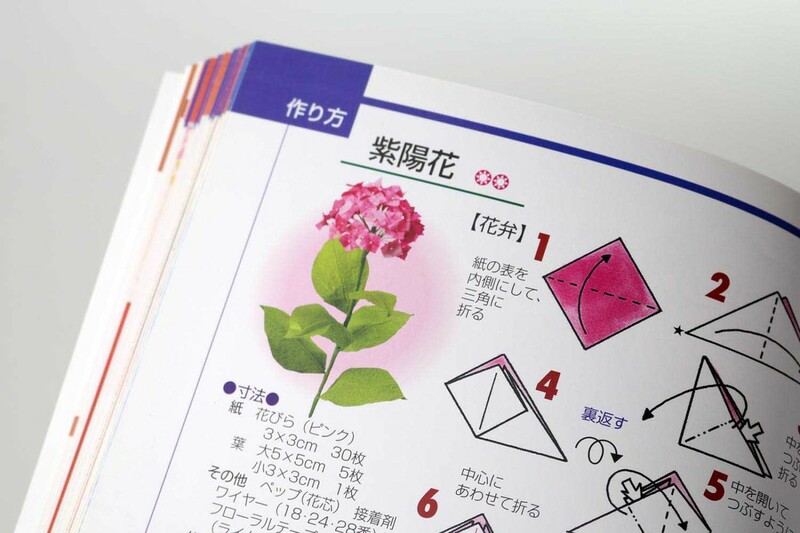 The flowers are almost all processed into complete stems, with detailed information on the composition of stems, leaves and flowers. 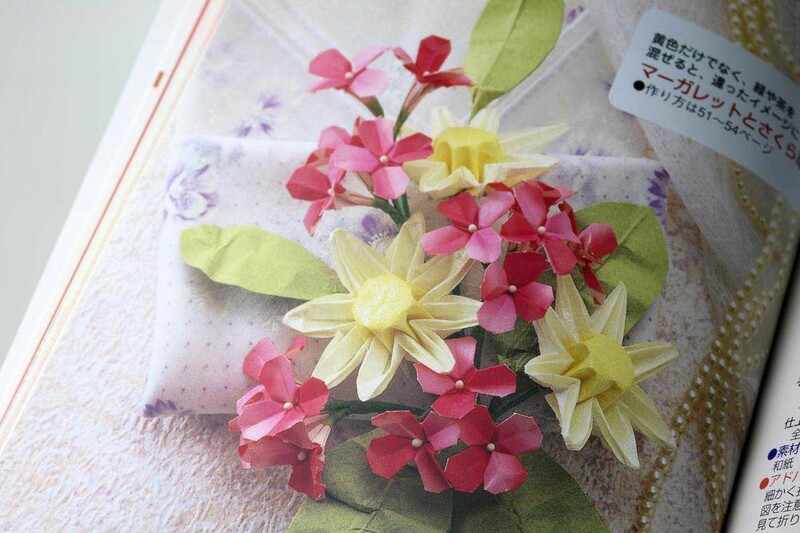 For example, dandelion, roses, hydrangea, sunflower, vetch, maple, violets and much more. 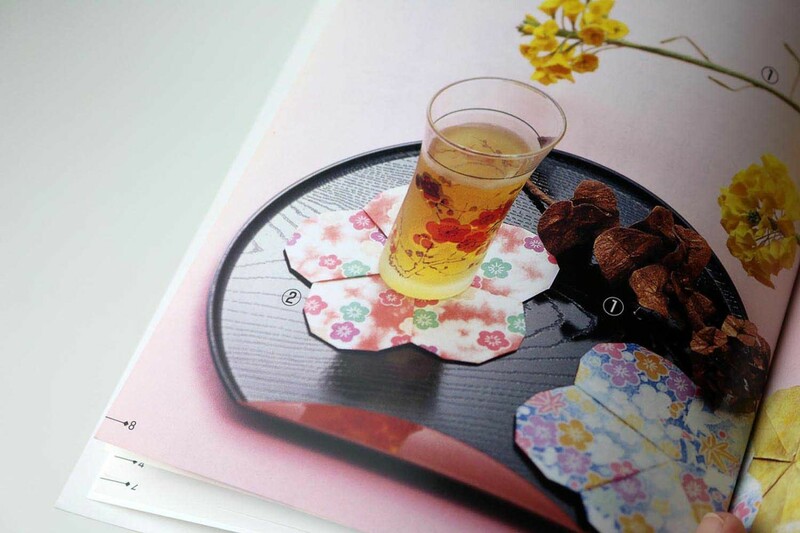 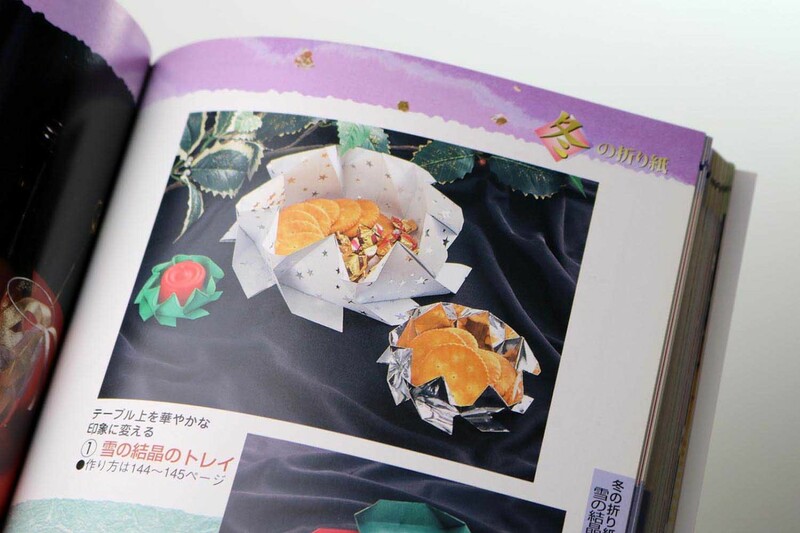 The numerous rosettes, bowls and boxes are both modular and made from just one piece of paper: square, with or without decoration, star-shaped – there is something for every taste. 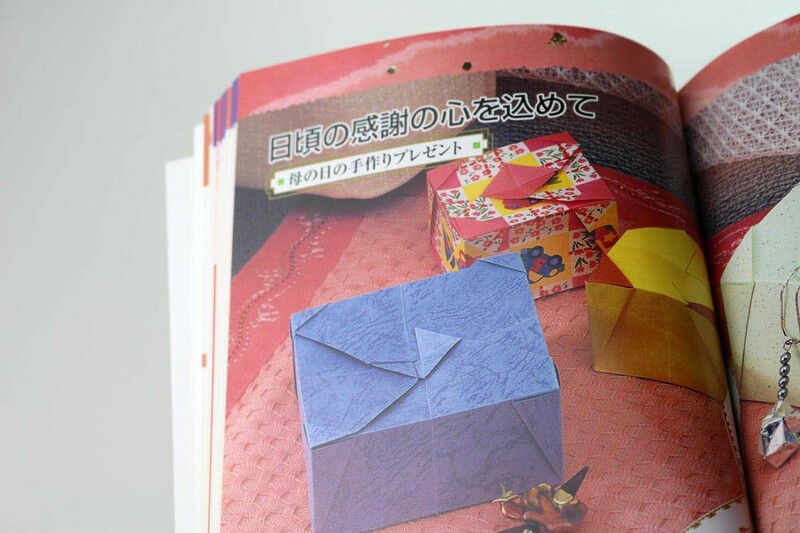 The offer is rounded off by envelopes in square, hexagonal and octagonal form, folders for money and documents, rod holders, a very pretty chest of drawers, Christmas decorations and a few animals: swallow, dachshund, horse head, moose head and fish. 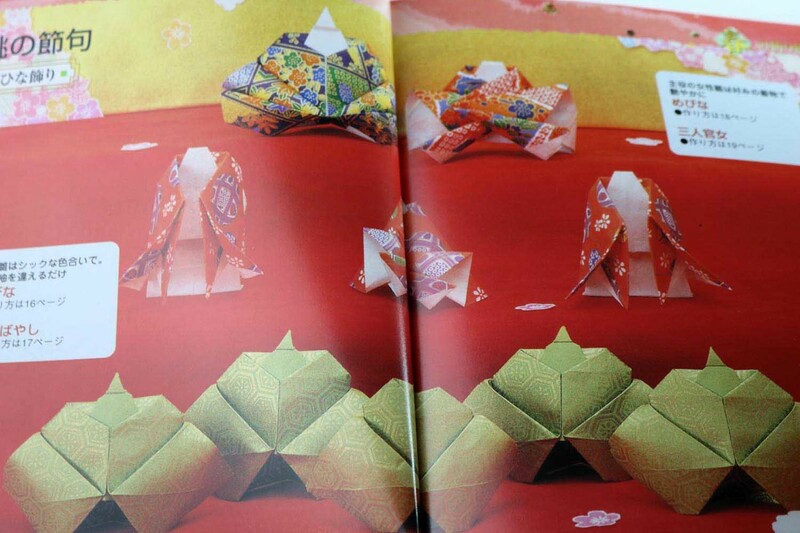 Over 80 full page photos.